On May 21- 22 , we attended the OpenAIRE – COAR conference “Open Access Movement to Reality: Putting the Pieces Together” in Athens. 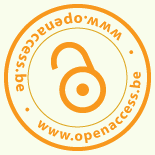 Posted on May 26, 2014 August 2, 2016 by openaccessbelgiumPosted in UncategorizedTagged event, OpenAIRE. Previous Previous post: Open Access : yes you can! Thank you for mentioning us in your blog; we will keep in touch from now on! By the way, we really enjoyed the OpenAIRE/COAR Conference in Athens and we are already looking forward for the next one (if any)!